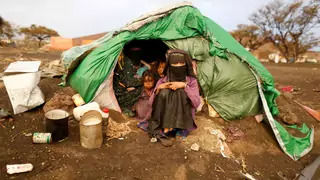 The conflict in Yemen, which entered its fourth year this week, has put millions of Yemeni women and girls in jeopardy in what the United Nations calls the “world’s largest humanitarian crisis,” with three-fourths of the population—or 22 million people—in dire need of humanitarian assistance. According to the new reports, women and girls face unique challenges, with over 3 million at risk of gender-based violence, close to 9 million in need of urgent food assistance, 1 million malnourished as pregnant or new mothers, and an additional 75,000 at risk of developing serious pregnancy-related health complications. Rights groups have called for the removal of blockades, increased international humanitarian assistance, and better coordination with local authorities to be more responsive to women and girls’ basic needs. On March 14, Marielle Franco, a Rio city councilwoman and celebrated human rights activist, was shot and killed by assailants upon leaving a meeting on women’s empowerment. Though her killers have not been caught, Brazilian authorities say the bullets came from police ammunition stocks. Franco, who was elected to the Rio city council in 2016 and was one of only seven women among fifty-one councilors, championed the rights of women, the poor, and Afro-Brazilians, and was known for her social work in the sprawling favelas that are home to nearly a quarter of Rio’s population. Her killing has sparked domestic and international outcry: last Sunday, nearly 5,000 Brazilians marched through the Maré favela complex in her memory, also calling attention to broader issues of political violence and violence against women. Human rights experts at the United Nations have decried reports that female workers and labor activists in Vietnam were subjected to “intimidation and harassment” after speaking out about poor working conditions in two of the country’s largest manufacturing plants. In a statement released on Tuesday, the Office of the United Nations High Commissioner for Human Rights asked Samsung, the operator of the plants, for an investigation into claims that workers faced gender-based harassment if they spoke publicly about working conditions. The report comes as the #MeToo movement, slow to gain traction in Vietnam and many other Asian nations, has started to spread, with women in China, Japan, and South Korea speaking out about harassment and women’s rights in the workplace.